Whether you celebrate Christmas, Hanukkah, or nothing, showing appreciation and gratitude by giving a gift is appropriate at this time. 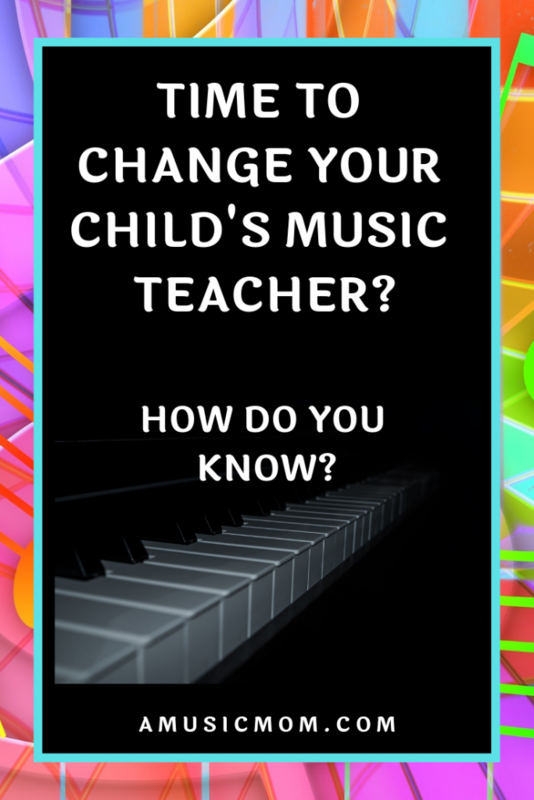 Your child’s music teacher deserves some appreciation as well. Hey, he/she puts up with your child every week! 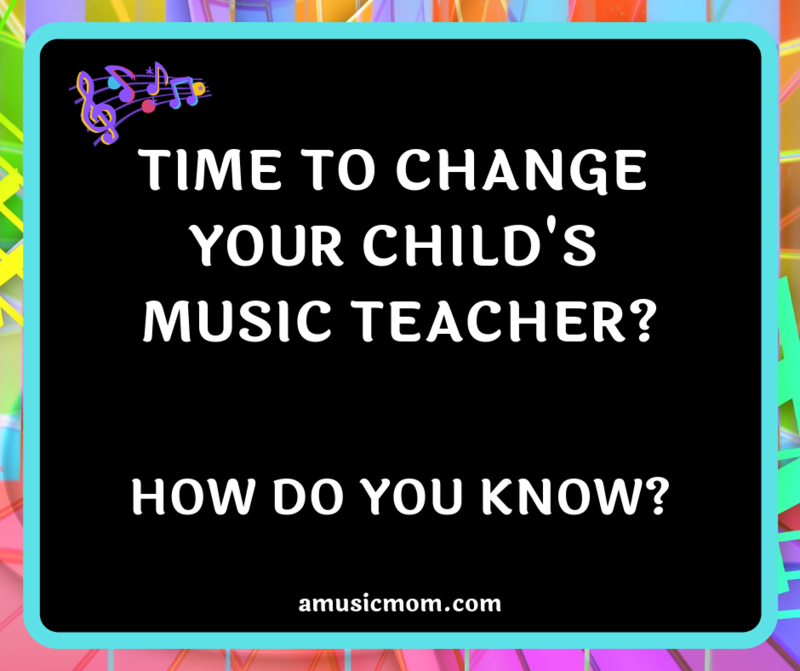 (I know, your child is an angel and would never do anything like not practice, or forget his music, or be more interested in sports.) 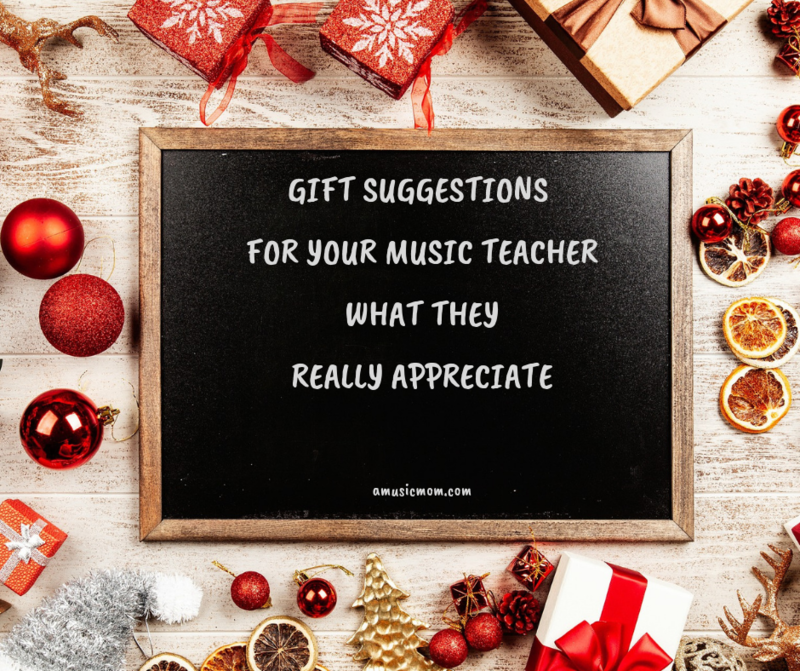 I took a very random sampling from several of my music teacher friends to get some suggestions of great gifts to get for your child’s music teacher. In my very unscientific poll, gift cards came in first place! These could be gift cards to a specific store, or a restaurant, or Starbucks, or even a local store. And they don’t have to be very high-value gift cards, either. Remember, you are showing appreciation and gratitude. Chocolate was also a winner in my little poll. Of course, if the teacher is allergic to chocolate, this may not be the best idea. But high-quality chocolate – what’s not to love? Another suggestion given was tea or coffee. 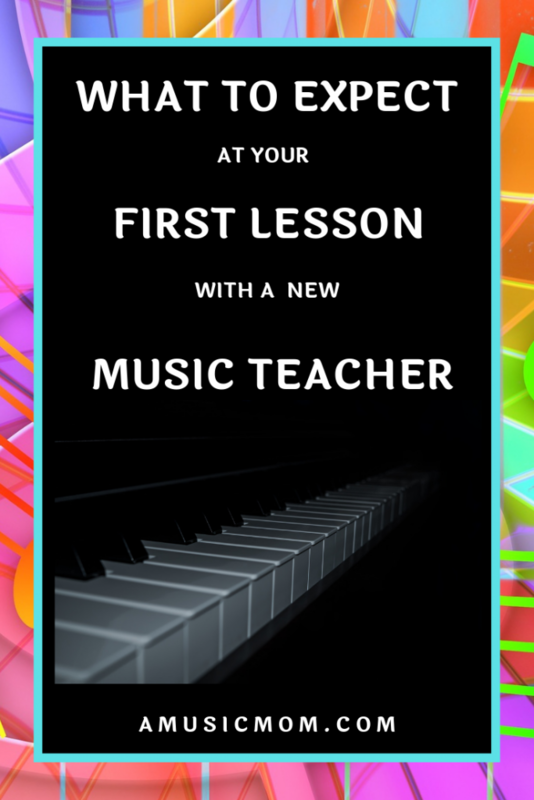 If you know the music teacher loves tea, add to her collection. The same goes for coffee. Maybe you even know her favorite tea or coffee. My girls’ violin teacher kept an electric tea kettle in her studio for making tea. (She was always commenting on how cold her studio was.) Tea would have been a great gift for her. Several of my teacher friends said that their favorite gifts were things handmade – especially by the student. My friends mentioned cards or pictures their students made for them as treasures they kept. My niece has a piano studio and she frequently posts pictures of things her students made for her. Do you know that something is a favorite of the teacher? Perhaps it is a certain hand lotion she always keeps in her studio. Maybe you know her favorite scented candle. Or perhaps he has a collection of items that you can add to. We knew our violin teacher loved our pumpkin bread, so we frequently brought her gifts of pumpkin bread. Also, fruit baskets or flowers/plants make lovely gifts. Most people love fruit, and flowers or plants brighten a studio or home. 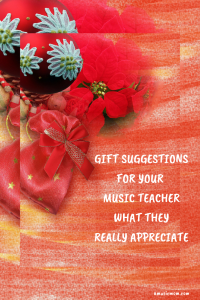 Be thoughtful and select a gift you know your music teacher will appreciate. Show your gratitude by giving a small gift, something to say that you value your teacher and the time he/she invests in your child. 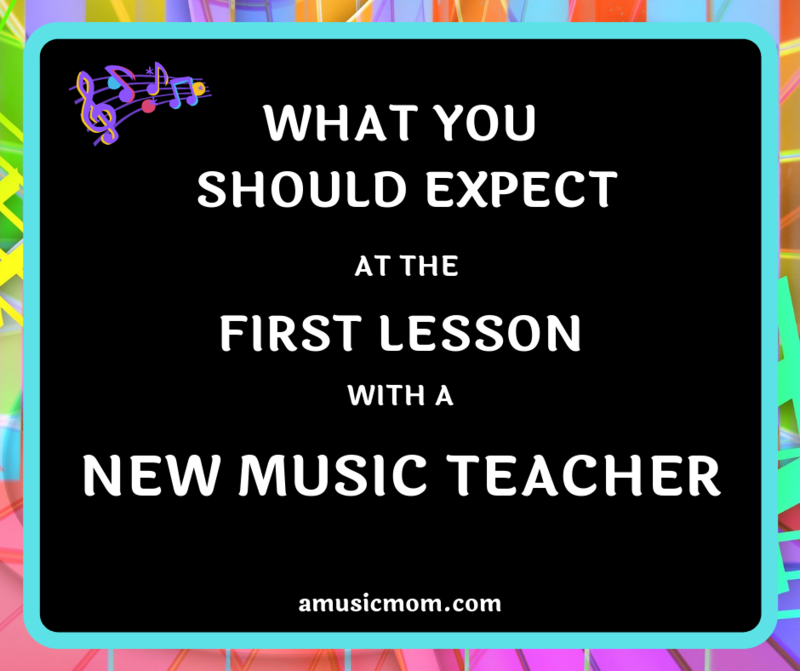 Your music teacher will be thankful!